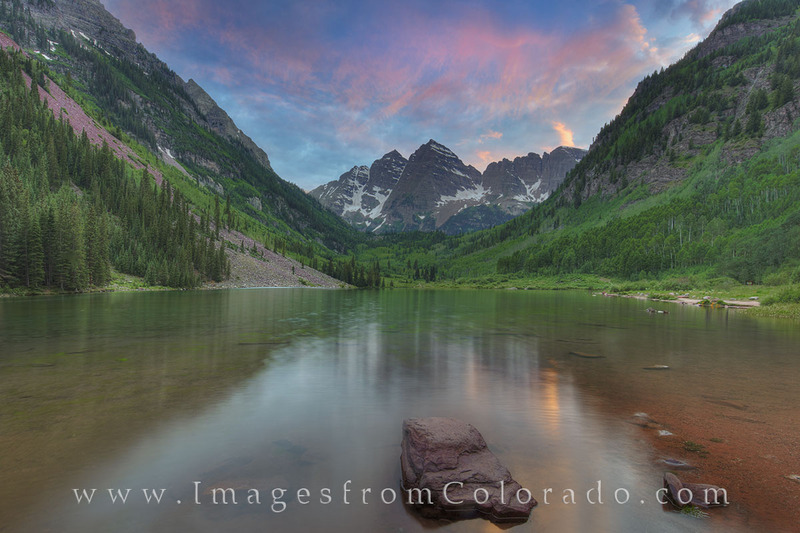 One of my favorite places to photograph the outdoors is at the Maroon Bells and Maroon Lake near Aspen, Colorado. With the mountainsides full of Aspen, a clear, smooth lake, and two 14ers (North and South Maroon Peaks) in the distance, it is easy to see why this is one of the most famous locations in the Rocky Mountains. Photo © copyright by Rob Greebon.